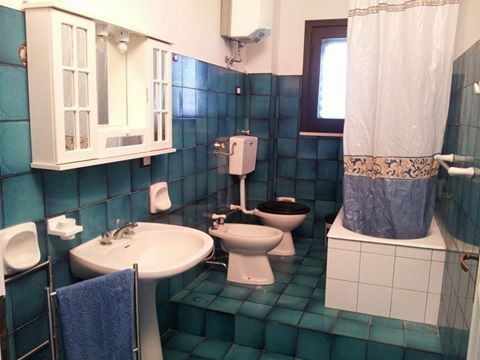 100 meters from the picturesque beach of Eloro and a short walk from the Natural Reserve of Vendicari, the apartment can accommodate up to 5 people and consists of 1 bedroom, 1 living area which serves as a second bedroom, 1 fitted kitchen and bathroom with shower and washing machine. Comfortable outdoor spaces with veranda furnished with a table, chairs and barbecue. With garden and car parking area. 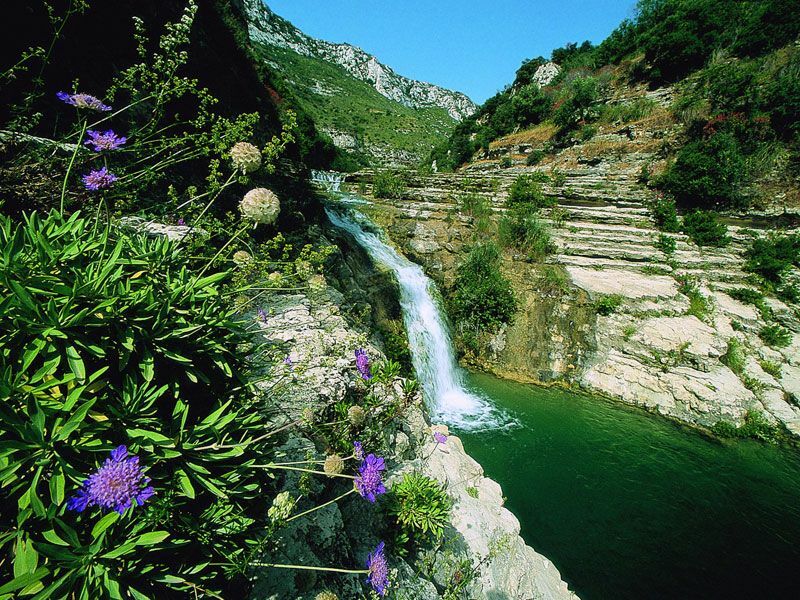 The area is very attractive, on the Ionian coast of Sicily, with rich bottom, beautiful beaches and crystal clear sea. the Etna Park, but also extraordinary cities like Syracuse, Noto, Marzamemi, Ragusa, Modica, Scicli and so on. We were guests at the Eloro House from August 21st to 28th and we really enjoyed it; what struck us when Mrs. Patricia showed us the apartment was the order and above all the clean smell that permeated all the rooms, the smell of clean linen that remained for the duration of the stay. The house is very comfortable and well equipped with all that a family needs with children, has fans, Wi-Fi, a Ping Pong table (which made our children of 13 and 11 happy), bicycles , and a large private parking that was a real "blessing " because the area is very busy and it is not easy to find parking for which it was really an added value. It 's very ventilated, so much so that although it is equipped with fans in every environment we have never used them, also we were thrilled that there were no mosquitoes, amazing !! The apartment is very close to the beautiful beach of Eloro, which we reached in a few minutes on foot. The town of Noto, a splendid Unesco site of the late Baroque, is very close, as well as other towns in the Val di Noto to be seen absolutely. But we would like to say that the added value was Mrs. Patrizia who has pampered us since we arrived until we left in every possible way, we had the feeling of being in the family while being on holiday, even the lady's husband is was very helpful giving us all the information on roads and places to visit in a comprehensive manner. We really do recommend everyone to a stay at the Eloro House, you will not be disappointed! Siamo stati ospiti alla Eloro House dal 21 al 28 agosto e ci siamo trovati davvero bene; ciò che ci ha colpiti quando la Signora Patrizia ci ha mostrato l'appartamento è stato l'ordine e soprattutto il profumo di pulito che permeava tutti gli ambienti, profumo di biancheria pulita che è rimasto per tutta la durata del soggiorno. La casa è molto comoda e ben accessoriata di tutto ciò che occorre ad una famiglia con figli, dispone di ventilatori, Wi-Fi, di un tavolo da Ping Pong (che ha reso felici i nostri figli di 13 e 11 anni), delle biciclette, e di un ampio parcheggio privato che è stata una vera "benedizione" in quanto la zona è molto frequentata e non è facile trovare posteggio per cui è stato davvero un valore aggiunto. E' molto ventilata, tant'è che nonostante sia dotata di ventilatori in ogni ambiente non li abbiamo mai usati, inoltre siamo rimasti entusiasti del fatto che non c'erano zanzare, incredibile!! 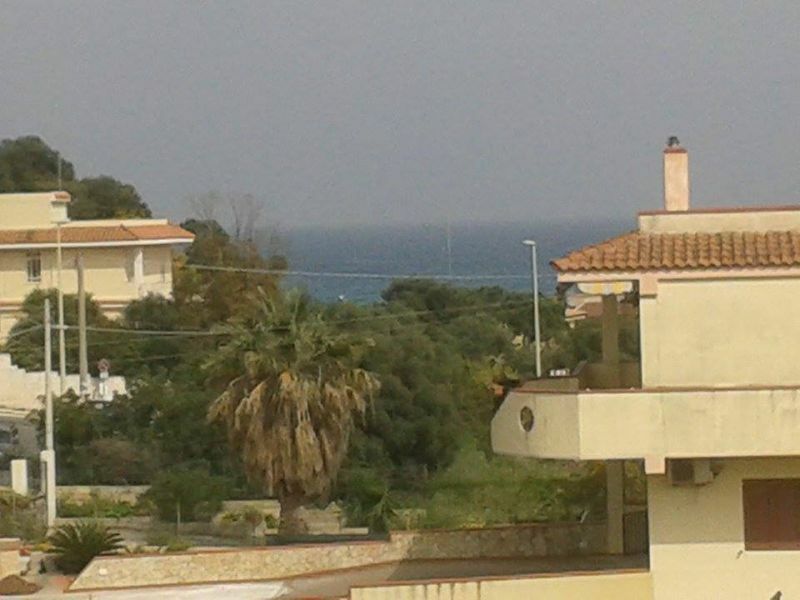 L'appartamento è molto vicino alla bella spiaggia di Eloro, che raggiungevamo in pochi minuti a piedi. La città di Noto splendido sito Unesco del tardo Barocco è molto vicina, così come altri centri della Val di Noto da vedere assolutamente. Ma ci sentiamo di dire che il valore aggiunto è stata la Signora Patrizia che ci ha coccolati da quando siamo arrivati fino a quando siamo ripartiti in ogni modo possibile, avevamo la sensazione di stare in famiglia pur essendo in vacanza, anche il marito della signora è stato molto disponibile fornendoci tutte le indicazioni su strade e posti da visitare in maniera esaustiva. Ci sentiamo davvero di consigliare a tutti un soggiorno alla Eloro House, non rimarrete delusi! We stayed two weeks in this comfortable apartment, well furnished, spacious and equipped with everything you need for a comfortable holiday. Despite the heat of the first week, we rarely used the two fans available, as the rooms are very airy and allow a pleasant stay even at night. We took advantage of the private parking available in the courtyard, very convenient. The area is quiet, away from the chaos and traffic of the promenade, but at the same time close to the two small markets, although it is advisable to extend to more provided and less expensive supermarkets. 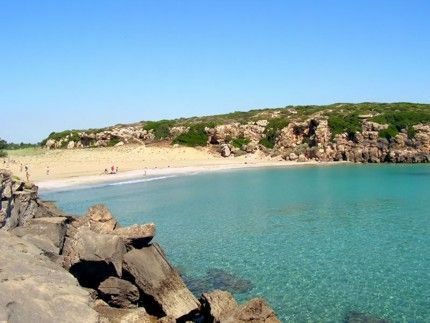 The beach of Eloro Pizzuta is nearby, with the start of the Vendicari reserve, whose other beaches are reachable within 10 minutes by car. The kindness of Ms Patrizia deserves a separate note; at our arrival he welcomed us with a welcome gift of local products and was always available for the duration of the stay. Our evaluation is therefore more than satisfactory and we recommend this apartment. 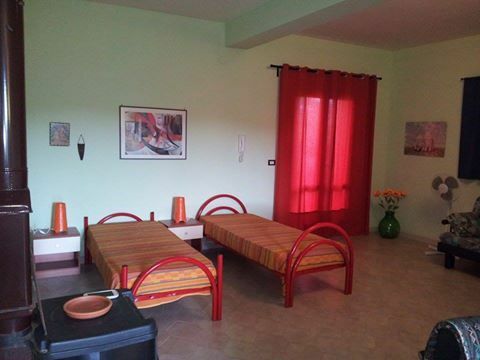 Abbiamo soggiornato due settimane in questo confortevole appartamento, ben arredato,ampio e fornito di tutto il necessario per una vacanza comoda. Nonostante il caldo della prima settimana, raramente abbiamo utilizzato i due ventilatori disponibili, in quanto le camere sono molto arieggiate e consentono un soggiorno gradevole anche notturno. Abbiamo usufruito del parcheggio privato messoci a disposizione all’interno del cortile, molto comodo. La zona è tranquilla, fuori dal caos e traffico del lungomare, ma allo stesso tempo vicina ai due piccoli market, anche se si consiglia di allungarsi verso supermercati più forniti e meno cari. Vicina è la spiaggia di Eloro Pizzuta, con cui inizia la riserva di Vendicari, le cui altre spiagge sono raggiungibili in 10 minuti di auto. La cordialità della sig.ra Patrizia merita una nota a parte; al nostro arrivo ci ha accolti con un gradito omaggio di prodotti locali ed è sempre stata disponibile per tutta la durata del soggiorno. 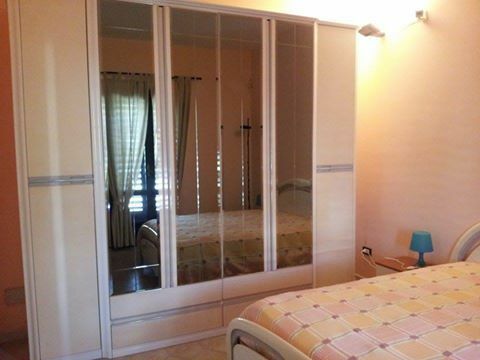 La nostra valutazione è pertanto più che soddisfacente e consigliamo questo appartamento. We have been guests of Ms. Patrizia from 12 to 25 August 2017. The welcome was excellent, from the beginning, the lady's son came to the exit of the freeway to indicate the route. We had access to the comfortable indoor carpark, fenced and well guarded that we were then made available throughout the vacation. The inside home is comfortable, with ample spaces and very airy, we never suffered the heat despite the temperatures reached 38 degrees, externally it is "upgradable ". 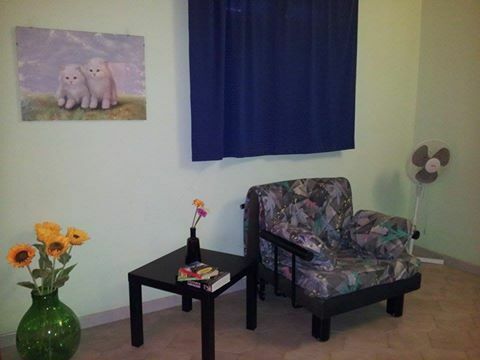 Well equipped with caravans and appliances, as well as a very fast Wi-fi, the home was clean, and well appointed. Our children, 5 and 7 years old, found themselves at ease. 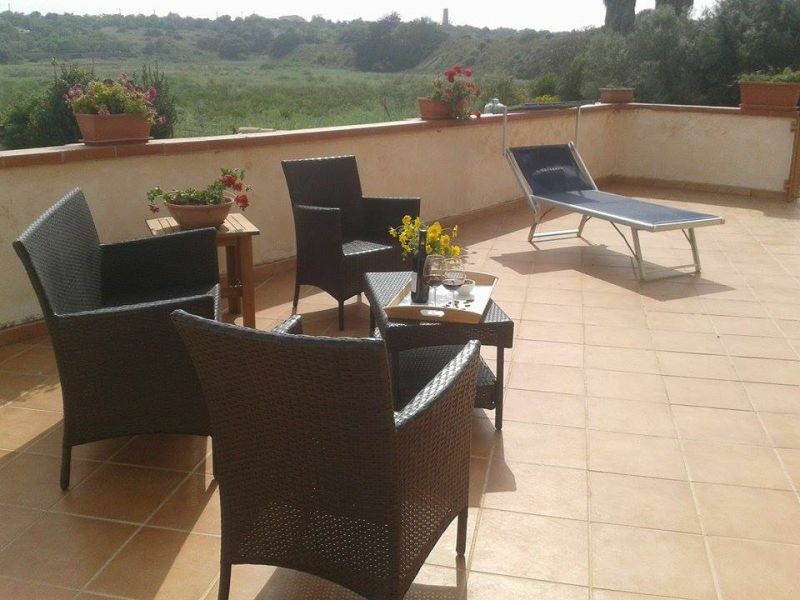 We used the bedroom terrace equipped with coffee table and chairs to dine outdoors with a nice breeze, which throughout the holiday has never been missed. 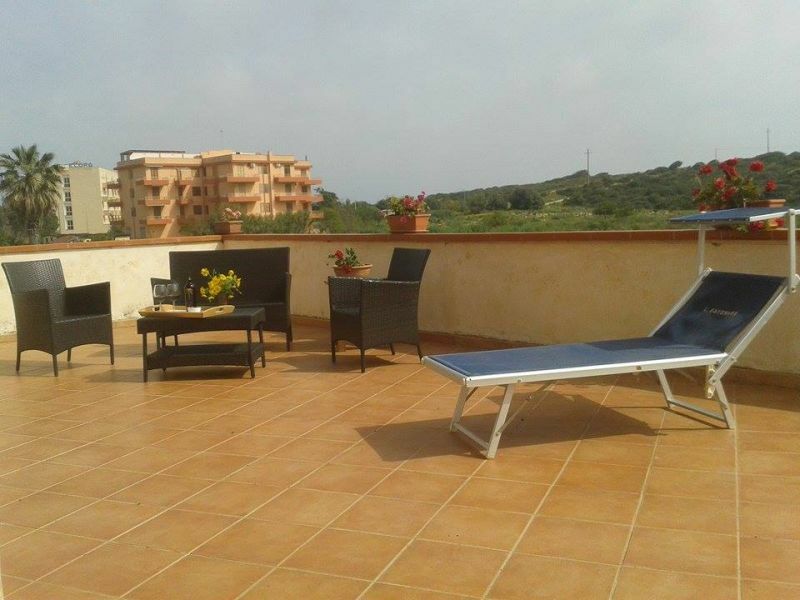 The owners for the holiday period have stayed in the floor below, always available for any need. Mrs Patrizia delighted us with some local delicacies: she brought home-made pizza, local desserts, some dishesof fruit and vegetables. The sea is very near the house, comfortable walking and ideal for children as it degrades very slowly, clean with fine sand. 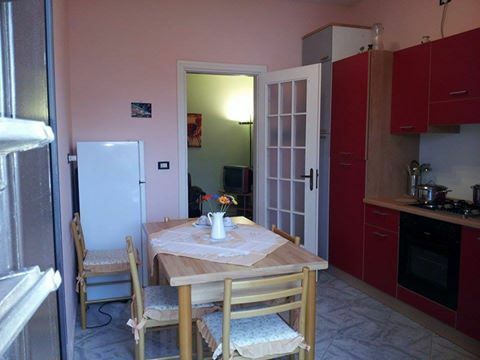 The area is quiet, served by two small markets, although we recommend spending it to go to the nearby Avola where the shopping malls are considerably lower. Thanks to Patrizia and her family for hospitality. Siamo stati ospiti della Sig.ra Patrizia dal 12 al 25 agosto 2017. L’accoglienza è stata ottima, fin dall’inizio, il figlio della signora è venuto a all’uscita dell’autostrada per indicarci il percorso. 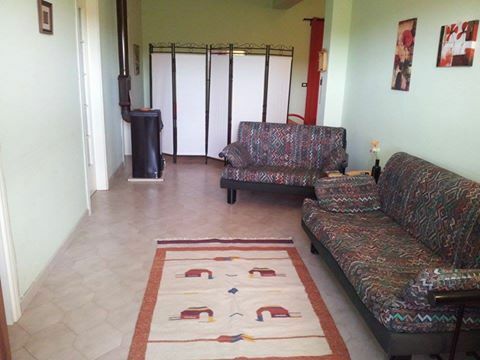 Abbiamo avuto accesso al comodo parcheggio interno, recintato e ben custodito che ci è stato poi reso disponibile per tutta la vacanza. L’abitazione all’interno è confortevole, con ampi spazi e molto arieggiata, non abbiamo mai sofferto il caldo nonostante le temperature abbiano raggiunto i 38 gradi, esternamente è "migliorabile". Ben fornita di vettovaglie ed elettrodomestici, nonché un Wi-fi molto veloce, l’abitazione era pulita, e ben arredata. I nostri bimbi, 5 e 7 anni, si sono trovati subito a loro agio. Abbiamo utilizzato la terrazza della camera da letto attrezzata con tavolino e sedie per cenare all’aperto con una piacevole brezza, che in tutta la vacanza non è mai mancata. I proprietari per il periodo delle nostre vacanze hanno soggiornato nel piano sotto, sempre disponibili per ogni necessità. La sig.ra Patrizia ci ha deliziato facendoci conoscere alcune prelibatezze locali: ci ha portato la pizza fatta in casa, dolci locali, alcuni piatti di frutta e verdura. Il mare è vicinissimo l’abitazione, comodo a piedi e ideale per i bimbi in quanto degrada molto lentamente, pulito con sabbia finissima. La zona è tranquilla, servita da due piccoli market, anche se consigliamo per la spesa di recarsi alla vicina Avola dove nei centri commerciali vi sono prezzi nettamente più bassi. Un grazie a Patrizia ed alla sua famiglia per l’ospitalità. 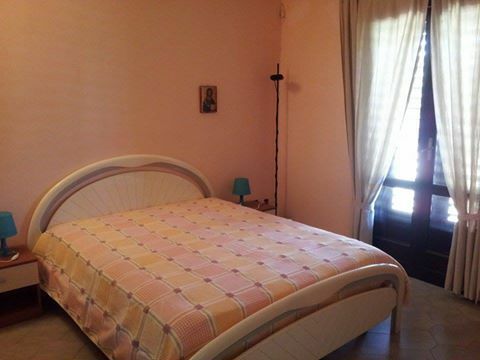 The hospitality of the owners, especially Mrs. Patrizia, is an added value to the apartment, which is comfortable and very clean, provided with everything needed to spend a serene holiday, ideal for a family of 4 or 5 people. 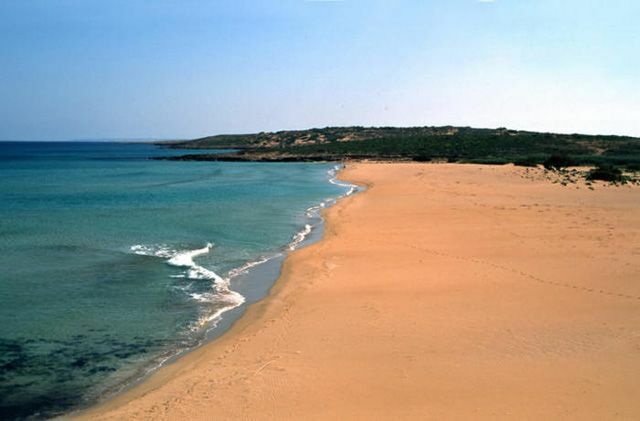 The beach is not far away, you can walk to the quiet and simply spectacular sea, low backdrop and clean water. A few hundred meters away is also a small market for daily needs. L'ospitalità dei proprietari, soprattutto della signora Patrizia, è un valore aggiunto all'appartamento, di per se comodo e molto pulito, fornito di tutto il necessario per trascorrere serenamente una vacanza, ideale per una famiglia di 4 o 5 persone. La spiaggia non è molto distante, si può raggiungere tranquillamente a piedi e il mare semplicemente spettacolare, fondale basso e acqua pulitissima. A poche centinaia di metri anche un piccolo market per le esigenze quotidiane. The owners of this apartment were very friendly so much so that we have followed up on our return home. The distance from the sea is actually only 100 mt. from the sea and at night you sleep really well given this proximity to the beach. As for the food shopping is recommended market behind the hotel Eloro, or if you need large volumes malls or Avola Noto city. I proprietari di quest'appartamento sono stati molto cordiali tant'è che ci hanno seguiti fino al nostro rientro a casa. La distanza dal mare è realmente solo di 100 mt. dal mare e la notte si dorme veramente bene data questa vicinanza alla spiaggia. Per quanto riguarda la spesa degli alimenti si raccomanda il market dietro all'hotel Eloro o se si necessità di grandi volumi i centri commerciali di Avola o Noto città. We Sicilians are always mentioned for great kindness, hospitality and kindness ... but believe me Patrizia of these characteristics has to sell! Me and my partner spent a wonderful week! The house is exactly as you see in the picture. Patrizia was very nice and when we arrived we did find a bottle of Nero d'Avola, almond milk and almond of the place. The cleaning of the house nothing to say. And even though we arrived earlier than the check-in, Patrizia was able to fix everything making it very comfortable and above all very clean. And it was good, go home and have a chat with her, which made us feel family! The sea is a spectacle, the fairly clean beach even after the nightly bonfires of 14. 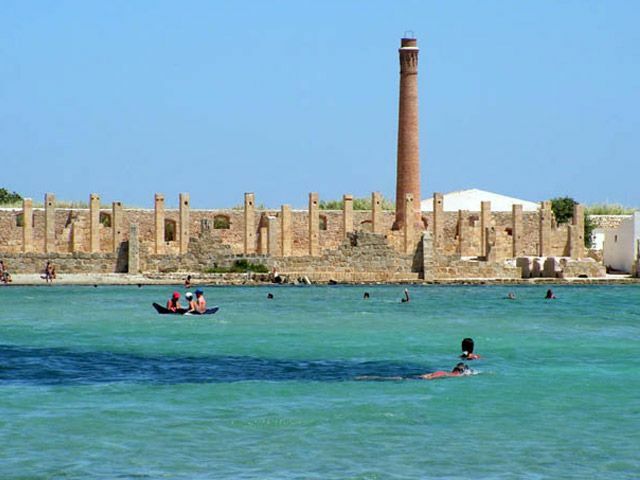 Marzamemi is a short walk, as well as Vendicari and Cala Flies, which I highly recommend you go to visit Santa arming of patience ... There is a long way to go, but it's worth it. And how! The only flaw the prices in supermarkets. I highly recommend everyone to bring spending from home! you can not buy at these prices, no joking by!Among other things, the hypermarket is closer to Avola. Having said that my more than satisfactory assessment goes to Patricia and her husband, who embrace warmly. Patrizia will be back! I'm sure. Noi siculi siamo sempre menzionati per grande affabilità, ospitalità e gentilezza... ma credetemi Patrizia di queste caratteristiche ne ha da vendere! Io e il mio compagno abbiamo passato una settimana meravigliosa! La casa è esattamente come la vedete in foto. Patrizia è stata molto gentile e al nostro arrivo ci ha fatto trovare una bottiglia di nero d'avola, latte di mandorla e mandorle del luogo. Sulla pulizia della casa nulla da dire. E nonostante fossimo arrivato in anticipo rispetto all'orario di check-in, Patrizia è riuscita a sistemare tutto quanto rendendolo molto confortevole e soprattutto molto pulito. Ed è stato bello, tornare a casa e scambiare due chiacchiere con lei, che ci ha fatto sentire di famiglia! Il mare è uno spettacolo, la spiaggia abbastanza pulita anche dopo i falò notturni del 14. Marzamemi è a due passi, così come Vendicari e Cala Mosche, che consiglio vivamente di andare a visitare armandosi di Santa pazienza...C'è molta strada da percorrere, ma ne vale la pena. Eccome! Unica pecca i prezzi nei supermercati. Consiglio vivamente a tutti di portarsi la spesa da casa! Non si può comprare a quei prezzi, non scherziamo dai! Tra l altro l'ipermercato più vicino è ad Avola. Dai, non si può pagare un litro di latte di mandorla 3.90 LADRI. Detto questo la mia valutazione più che soddisfacente va a Patrizia e suo marito, che abbraccio calorosamente. Torneremo Patrizia! Ne sono certa. Next time buy it the almond milk in Noto Avola or supermarkets. La prossima volta il latte di mandorla compratelo nei supermercati di Avola o Noto. 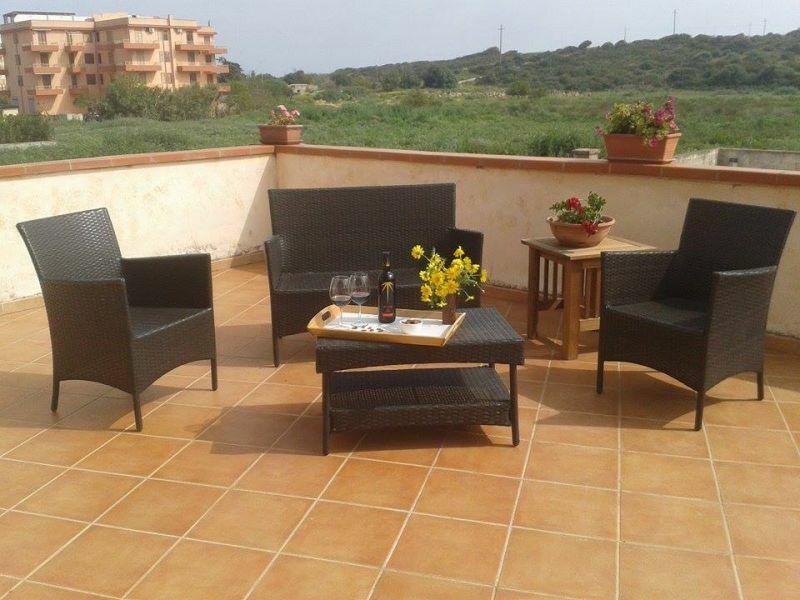 I recommend everyone to stay in this beautiful apartment just minutes from the sea! Spacious rooms, balcony with veranda, modern kitchen, TV ... and the kindness of the owners have ensured we heard it at home! Patrizia cooked us a delicious pizza and it was good to come back from the beach and have a chat with her and her family: they gave us many useful tips on where to go, what to eat, what roads do .... and her husband was so polite that he even printed out our boarding passes! Noto marina has a clear sea, with free beach; The city of Noto is near, and we recommend to all for the beauty of the Baroque, and of course the evening for the nightlife and the many cafes. Not far from the San Lorenzo beach and the many wonders of Sicily! 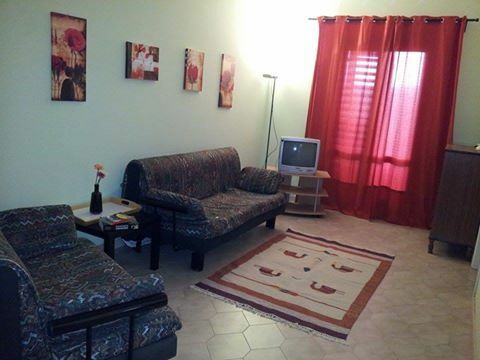 Consiglio a tutti di soggiornare in questo bell'appartamento a pochi minuti dal mare! Stanze spaziose, balcone con veranda, cucina moderna, TV... e la gentilezza dei padroni di casa hanno fatto sì che ci sentissimo a casa! Patrizia ci ha cucinato una buonissima pizza ed era bello tornare dalla spiaggia e fare due chiacchiere con lei e la sua famiglia: ci hanno dato molti consigli utili su dove andare, cosa mangiare, quali strade fare....e suo marito è stato così gentile che ci ha perfino stampato le carte d'imbarco! 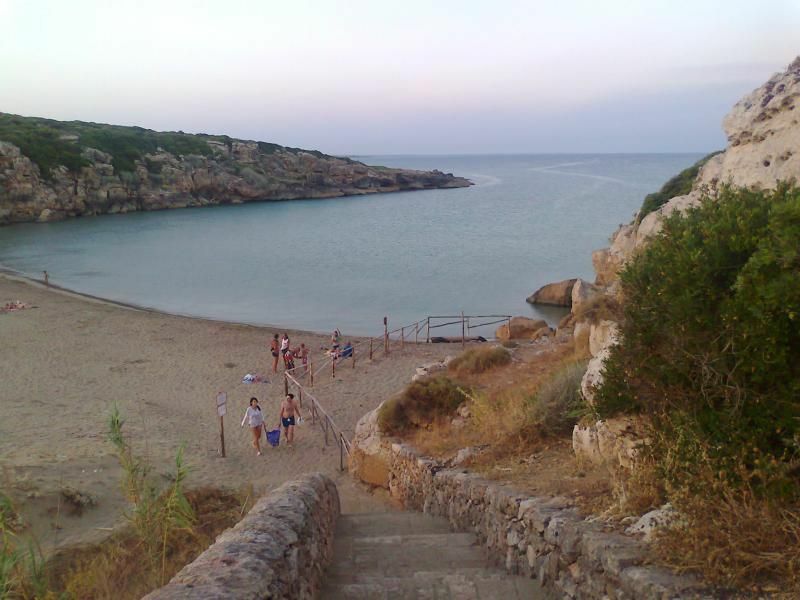 Noto marina ha un mare limpido, con spiaggia libera ed attrezzata; La città di Noto è vicina, e la consigliamo a tutti per le bellezze del Barocco, e ovviamente la sera per la vita mondana e i tanti localini. Poco distante la spiaggia di San Lorenzo e tante meraviglie siciliane! Speriamo di ritornare presto! 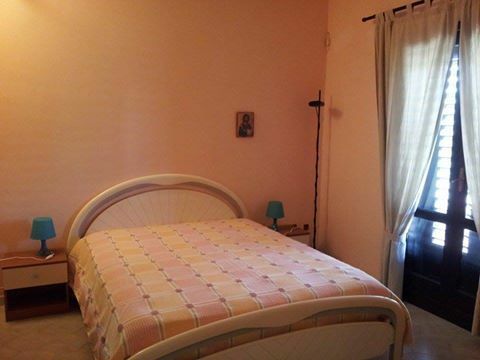 The house is very spacious, comfortable and has all the amenities; close to the market, close to two beautiful beaches and well connected to move with the machine. The owners are fabulous people, we have left a piece of heart. La casa è molto ampia, comoda e ha tutti i comfort; vicina ai market, vicinissima a due spiagge bellissime e collegata bene per muoversi con la macchina. I proprietari sono persone favolose, ci abbiamo lasciato un pezzo di cuore. We spent a pleasant stay in this apartment a few meters from the beach. Owners very kind and always available. Highly recommended. Abbiamo trascorso una piacevole vacanza in questo appartamentino a pochi metri dalla spiaggia. Proprietari gentilissimi e sempre disponibili. Consigliatissima. For relaxation and tranquility this is the place. 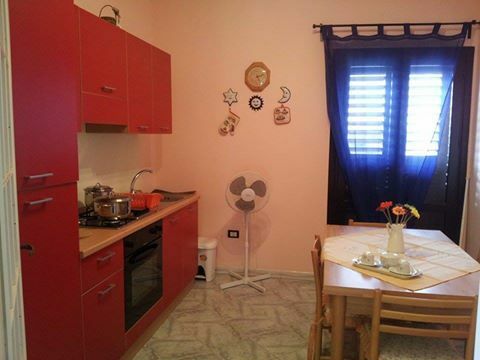 The house corresponds exactly to the photos on the site, close the beach, practically a stone's throw from the sea as they are very close to the convenience store and a pizza restaurant. Not to mention the owners who were really very kind, always ready for anything! 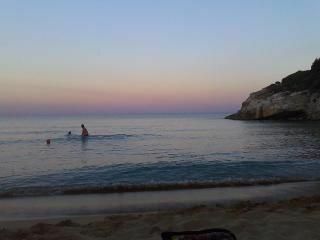 I forgot ... the sea is a fairy tale! Se cercate relax e tranquillità questo è il posto giusto. L'abitazione corrisponde esattamente alle foto sul sito, spiaggia vicinissima, praticamente a due passi dal mare come vicinissimi sono il minimarket e un ristorante-pizzeria. Per non parlare dei proprietari che sono stati davvero gentilissimi, sempre a disposizione per qualsiasi cosa! Dimenticavo... il mare è una favola!